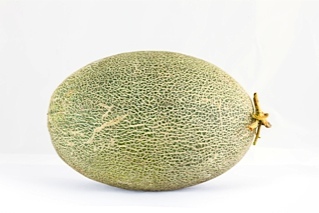 Small – sized true Hami melon, oblong – shaped fruit size is about 1.8 – 2.5 kg, evenly distributed thin netting throughout the light – yellow melon skin, salmon red flesh. 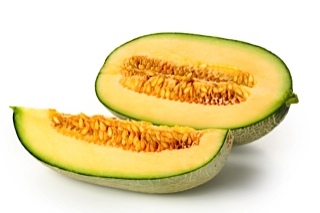 Hami-melon’s unique tender and crispy flavor and high degree of sweetness. Early variety, early maturing in 75 – 85 days after sowing. Thickness of flesh about 3.5 cm. The ground color turns to yellow very early. Average sugar content about 14% Brix. Yield can get about 45 tons per hectare. It can be harvested within 30 – 35 days after flowering. Unmatched disease resistance and humidity tolerance.Flesh flavor and sweetness show exactly what Xinjiang’s famous Hami – melons have. Best performance with “stick + plastic shade melon cultivation” practice. Significantly better fruit uniformity and commercial appeal compared with big varieties. UGS : MEL015. 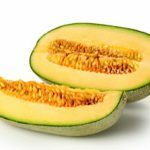 Catégorie : Melon.